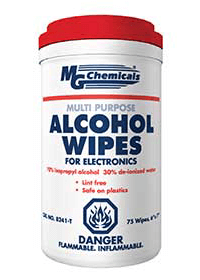 A great all-purpose cleaner for a wide range of electronics applications. Made of 99.95% minimum purity anhydrous alcohol (“IPA”). It is safe on plastics and has a moderate evaporation rate, must dilute the product 3:1 with water or acetone prior to use.